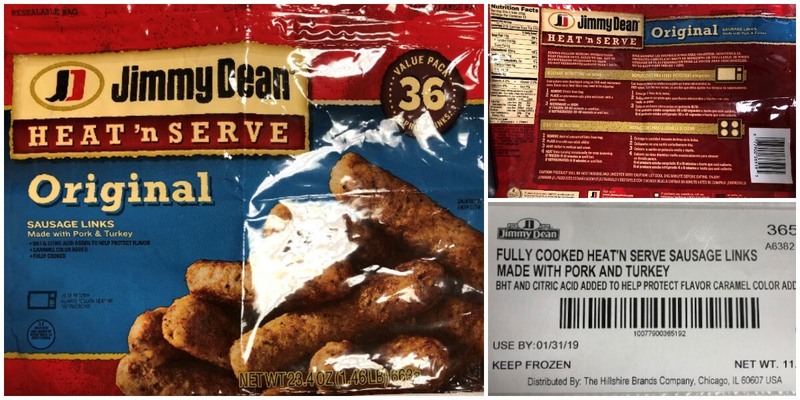 CTI Foods LLC is recalling approximately 29,029 pounds of frozen, ready to eat Jimmy Dean pork and poultry sausage links that may be contaminated with pieces of metal. These packages were packaged on 8/4/18. The products bear establishment number “EST.19085” on the back of the package. They were shipped to Tennessee where it was further distributed to other stores. The problem was discovered on 12/10/18 when consumers complained of metal in product. No confirmed adverse reactions have been reported. Today Only! 4 Better Than FREE CoverGirl Professional Mascara at Walgreens!